Are Forced Reps Effective For Building Muscle? No Comments on ARE FORCED REPS EFFECTIVE FOR BUILDING MUSCLE? 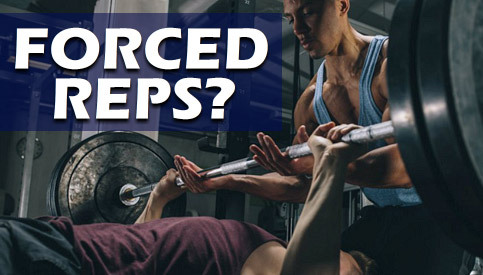 Let’s go over this by discussing exactly what forced reps are, whether or not you should use them, along with a couple of other important points to consider on the topic. You continue your set until you hit the point of muscular failure, at which point a spotter provides assistance to help you perform additional reps.
An extra 1-3 reps at the end of the set would be typical. 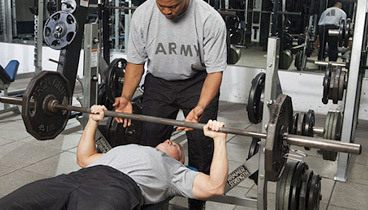 The most common exercise you’ll see forced reps being used on is the bench press, but they can technically be used on any exercise as long as the spotter can safely and comfortably help out. 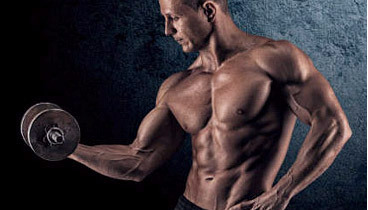 So, are there any specific benefits of forced reps when it comes to gaining muscle and strength, and should you include them in your workout plan? Although forced reps are a very common technique you’ll see being used in the gym, the truth is that they’re unnecessary (and even downright counterproductive) in the vast majority of cases. In order to build muscle size and strength effectively, going roughly 1 rep short of concentric muscular failure on the bulk of your sets is a good intensity level to shoot for. This level is high enough to maximize the hypertrophy response while still allowing you to perform enough total volume for the session without burning yourself out. Not only that, but moderating your intensity level in this way will also reduce your risk for injury in comparison to going to failure on every set. Forced reps are essentially a “beyond failure” technique, and will therefore be quite taxing on your body as a whole especially if you’re doing them on bigger compound movements and on multiple sets for a given workout. Your central nervous system will be stressed quite heavily, and your performance on subsequent exercises in your workout will take a hit as well. In addition, because forced reps are performed at the end of the set when you’re in a state of very high fatigue, they also carry a much bigger injury risk particularly if your spotter is less experienced and doesn’t know exactly when to jump in and how much assistance to provide to keep you safe. The bottom line is that forced reps aren’t necessary to gain muscle and strength effectively in the first place, and they may actually be counterproductive by over-stressing your muscles, CNS and joints. Now, does that mean a couple forced reps here and there is going to kill you? 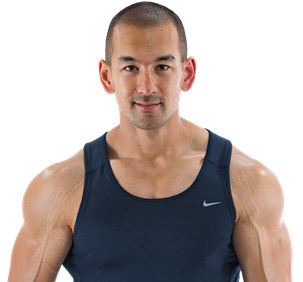 No, but if you are going to include forced reps in your workout plan, they should be used very sparingly as a high intensity technique, and only if you’re a more intermediate to advanced trainee. Don’t do them during every single workout, and try to save them toward the end of training a particular muscle group so that your strength isn’t compromised on upcoming sets and exercises. The overall impact that forced reps will have also depends largely on the type of exercise you’re performing. For example, going to failure on a bicep curl followed by 1-2 forced reps will be less taxing on your body as a whole in comparison to doing the same thing on a bigger compound lift like a leg press, pull up or bench press. First off, if the weight is so heavy for you that you require the use of forced reps after you’ve only performed a couple reps on your own, you need to lighten things up. This is something I see in the gym all the time – especially on the bench press – where someone will load up way more weight than they can truly handle, perform a couple reps on their own, hit failure, and then proceed to pump out 3 or 4 more reps using spotter assistance. The bottom line is that if your set calls for, say, 6-8 reps, that means 6-8 reps using proper form and a full range of motion on your own. 3-4 reps on your own and then 3-4 forced reps with the help of a spotter doesn’t count. Not only does “ego lifting” in this way look completely silly to anybody in the gym with even a modest knowledge of proper training, but it also hugely increases your risk for injury and compromises the overall effectiveness of your workout. Your spotter should be there primarily for safety reasons – not to lift the weight for you. Secondly, on the other side of the spectrum, if you are fully capable of lifting the weight on your own in proper form, there’s no reason for your spotter to be giving you any assistance at all. Someone is performing their set perfectly smoothly with a full range of motion and is still a good 3 or 4 reps away from failure, and the spotter then randomly jumps in and starts helping out for no apparent reason. 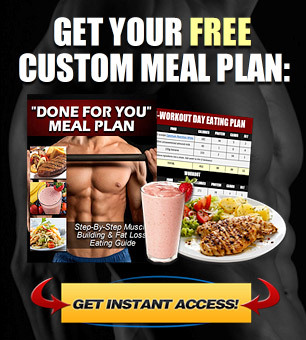 Personal trainers seem to do this all the time with their clients, and quite frankly, it makes absolutely no sense from a muscle building or strength gaining perspective. By providing unneeded assistance the second the set begins increasing in difficulty, all you’re doing is lightening up the weight and preventing the lifter from properly taking the set close to failure on their own. 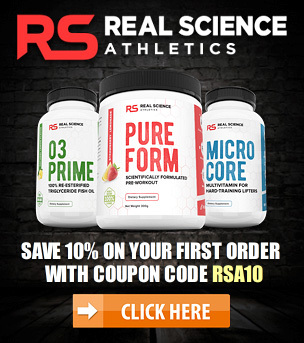 In other words, you’re interfering with the very thing that is needed to stimulate the muscle building response in the first place, that being sufficient intensity. So, if your training partner (or client) is lifting the weight in proper form and hasn’t come close to muscular failure yet, there’s no reason to get involved. Spotter assistance should only be provided if the lifter accidentally gets stuck during the exercise and requires help re-racking the weight, or in the rare case where genuine forced reps are being used as a high intensity technique. So, are forced reps effective and should you use them? 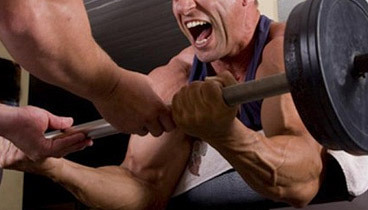 1) Forced reps should be used very sparingly if at all, and only if you’re a more advanced lifter. They’re very stressful to the body and aren’t necessary to stimulate size and strength gains effectively anyway. 2) If you can’t perform the required number of reps in your set on your own in proper form without the use of forced reps, the weight you’re using is too heavy. 3) If you can perform the required number of reps on your own without assistance, there’s no reason to have a spotter jump in and help out. All this does is unnecessarily lighten the weight and reduce the intensity of the set.